Hello folks, Hope you had a good week and also took some time off to read about our innovation in marketing series – 2 where we spoke about our initial struggle (and happy ending) on integration with IBM Campaign and IBM Netezza using Data Direct ODBC drivers. As you might be aware, we have been working closely on large scale marketing programs for Banks, Telcos and other businesses. 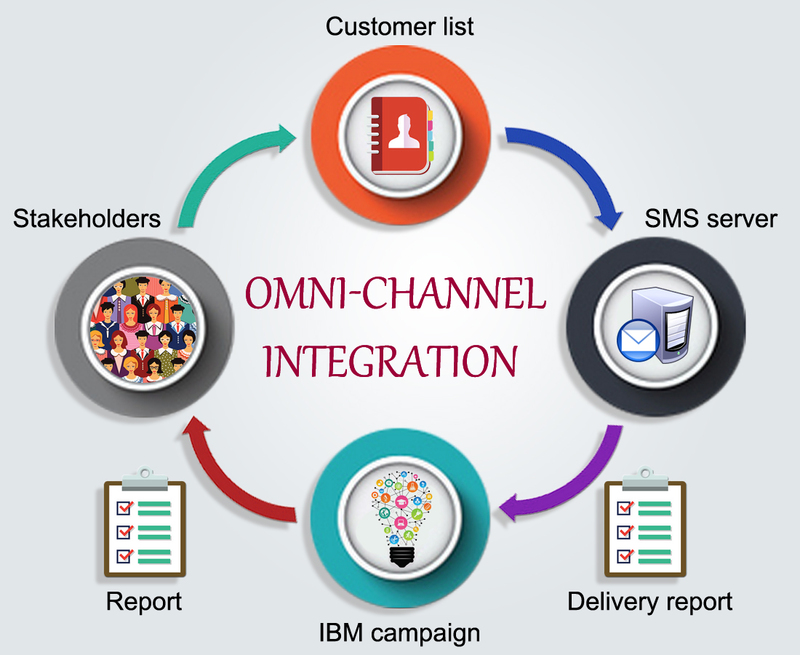 As part of our omni-channel integration for a large bank, we were looking to integrate their Mobile messaging/SMS channel with an enterprise marketing management platform. This would enable them to have an effective multi-wave, multi-stage campaign strategy. Early on, we had already implemented the solution in such a way that their email marketing could work in real-time. This enabled the marketing team to send out emails and receive responses as and when the target customer would click on the CTA (call-to-action) and arrive on the landing page. This small piece of work involved message approval, marketing consulting (we shall get to that in a minute), mobile aggregation, message delivery and response. This was critical for the bank because they needed a complete response tracking process with no (or minimal) manual intervention. They also wanted a fast and fool-proof method for delivering SMS Campaigns and receive responses. Of course, all this needed to be also backed up with executive level dashboards to take stock. Generate the customer lists as per the SMS vendor requirements and publish as required. SMS Server configuration to process the customer list and push to end customers. SMS delivery reports were processed to be consumed by the Unica Campaign server which in turn helped create the relevant reports for stakeholders. Responses of the SMS are captured by the Bank’s production system. Along the way, we also managed to do a small but effective tweak to ensure that we were able to connect the responders (to the SMS Campaigns) and attach a unique keyword + code combination. This helped in not just identification but also helped in the next-best action to be performed. In addition to this, we also gave some interesting insights to the customer on what kind of messaging, what kind of scripts work as well. This was based on our own past experience and based on other customer requirements. Our Marketing consulting experience came in handy! Overall, this turned out to be a satisfying program as it helped our customer to save time and money. While the earlier email marketing integration was a success, we also could now help them send SMS campaigns and combined with email, this proved to be a powerful marketing strategy.